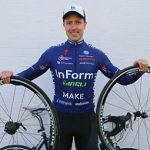 “I would like to do more with my cycling, I just don’t have the time/ability/motivation/knowledge/[insert other excuse] to make it happen”. As cyclists and human beings we often come up with excuses as to why we don’t do certain things, even though they might help us achieve our goals or improve our ability to do something we really want to be good at. 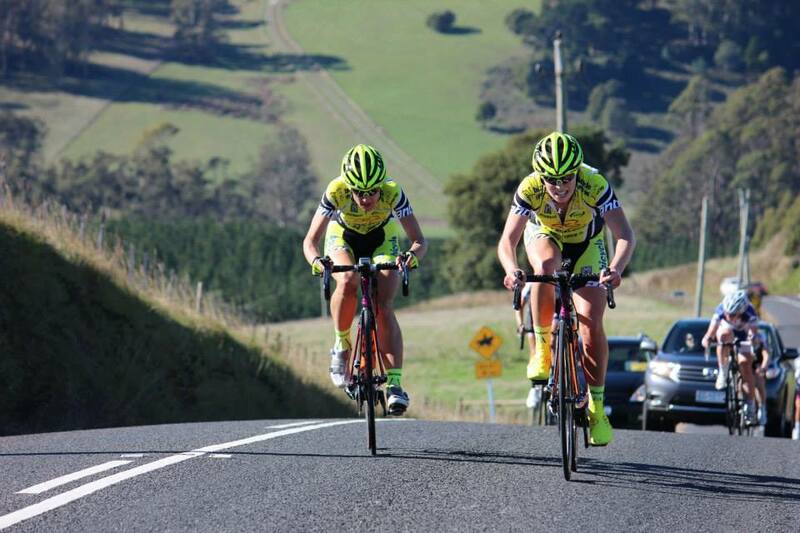 To find out how to cut the excuses and become better cyclists, we caught up with National Road Series rider Lisa Keeling. Lisa is 35 years old and lives in Canberra. 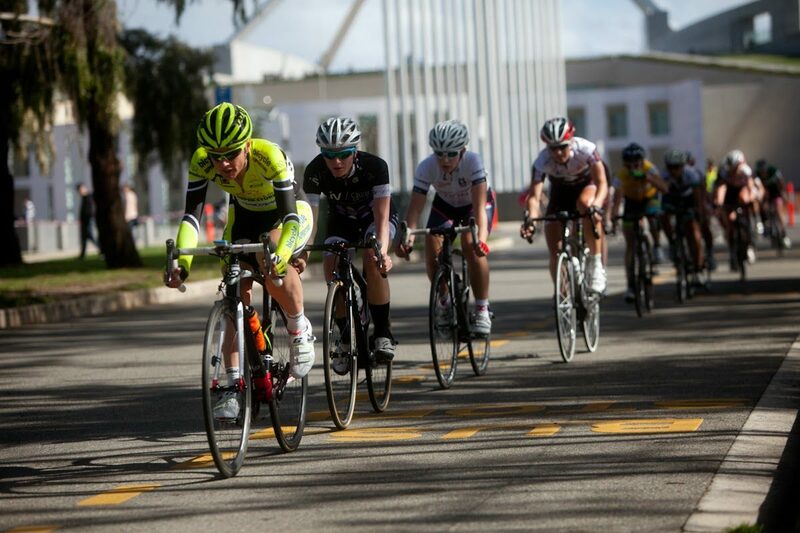 She rides for the Bicycle Superstore Women’s Cycling Team and has been competing in the NRS since 2012. Moreover, Lisa is the mother of two young children and also maintains a professional career as a lawyer on a part-time basis. Lisa is a busy bee indeed, yet she is probably the fittest she’s ever been. What is Lisa’s key to getting the most out of herself? 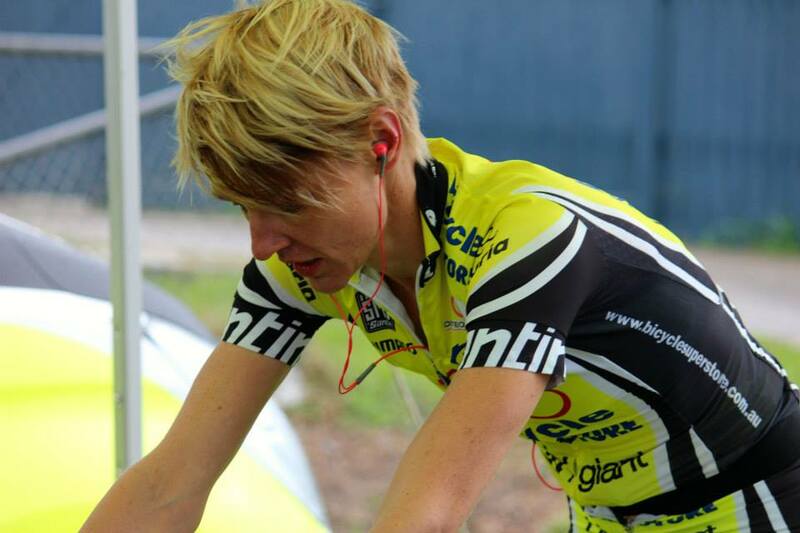 This article explores how Lisa became an elite athlete and identifies where you need to focus your attention if you want to become a better cyclist. Lisa got introduced to the world of cycling when she was 28. A colleague convinced her to sign up for a charity ride from Canberra to Charlotte Pass in Kosciuszko National Park, New South Whales. Having never ridden a road bike before and with only three months to prepare, tackling 460 km over three days seemed like a big task. Lisa was afraid of being the weakest link, so she started training for the event straight away. She quickly discovered that she was a terrible bike rider, but instead of giving up she was determined to put as much as she could into her preparation. Before she knew it, she was training five times a week and loving it. Lisa also discovered a big cycling community full of interesting and fun-filled people. She quickly became hooked on cycling. Soon after Lisa started cycling she found out that she was pregnant with her first child, which put her foray into cycling on hold. About a year after her daughter was born, Lisa started doing some triathlons to get back into the swing of things. Her triathlon coach told her to become a cyclist, which, according to Lisa, says more about her swimming and running than her ability on the bike. She started competing in local cycling races and events and became more hooked on cycling than ever before. However, a few months later Lisa’s cycling career was put on hold by another pregnancy. Again, she was off the bike for about a year before she decided that it was time to get fit again. She signed up to the Tour of Bright with a friend who was also returning to cycling post-pregnancy. Unfortunately, three weeks before the event, Lisa was hit by a car. With a broken ankle and ligament and nerve damage in her legs, Lisa was unable to participate in the Tour of Bright. The accident made Lisa think twice about what she was doing. With a husband and two young children at home she realised that any serious accident would affect the whole family. As a result, Lisa gave up on cycling. In the middle of 2011, preparations for the Tour of Bright were coming up again. A few of Lisa’s friends were putting together a training group for the event and convinced her to conquer her fears and give cycling a go once more. She decided that if she was going to do it, she would do it properly. Lisa started training six days a week and went from being absolutely terrified to loving her riding again. In 2012 Lisa started doing NRS racing for the Boss / Nutrixxion Team. At the end of 2012 the team folded and Lisa was at a bit of a loose end. She decided to do the Tour of Bright as a solo rider, which proved to be a great decision. During the last stage of the Tour a rider from Bicycle Superstore (then TORQ / Bicycle Superstore) came up to her and said: “We want to speak to you at the end of the stage”. In early 2013 Lisa started riding for the Bicycle Superstore Women’s Cycling Team, and she has recently signed up for another season as the team co-captain. Every athlete who wants to take their sport seriously should have a coach to provide motivation, structured training, new challenges, advice, feedback and a push in the right direction when needed. 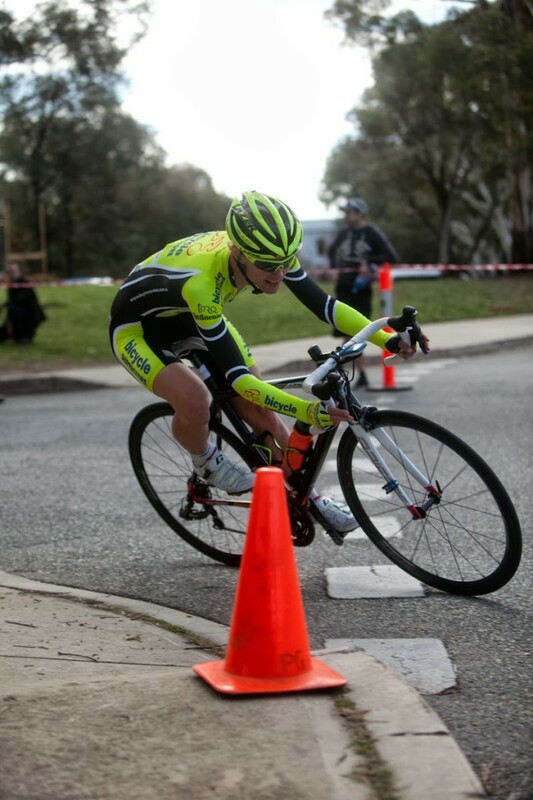 Coaches have helped Lisa throughout her cycling career. Her triathlon coach essentially got her honed in on cycling and her cycling coach has given her the skills and fitness to continue that journey. Lisa’s friends and training partners have helped her immensely over the years. Her friends got her on a road bike for the first time, convinced her to try racing and motivated her to come back from two pregnancies and a serious road accident. “It took quite a few years of riding with friends to learn to enjoy the ride before I could even contemplate wanting to race. So for me, it was a lot of baby steps. Just give it a go and have a positive experience, which also means having a supportive network and lots of friends who can help you with it”. When it comes to finding time to train and prepare for races, Lisa has to be more organised than most. With two young children and a career to look after, she still manages to fit in six training sessions per week. Lisa generally does her training in the early hours of the day and has the support she needs from her family and employer. “I guess it all starts with a very supportive husband. He’s really happy for me to pursue the cycling. And he thinks it’s actually good for the kids to see. My work is also very supportive. They say if I need to take a two-hour lunch break to ride at lunchtime then just go and do it and start work a bit earlier or finish up later”. Whether it’s working on your cycling ability or finding the next piece of equipment, it is important to not take on every piece of advice from others as it can be completely overwhelming. Lisa’s advice is to listen to advice from people whose knowledge you can trust and then figure out what works for you (usually through trial and error). With these 10 insights from Lisa Keeling in your pocket you should be well-equipped to take your cycling abilities to the next level. If you want to know more about Lisa and the adventures of the Bicycle Superstore Women’s Cycling Team then click here. Join the conversation! Please leave your comment below.